Gina Haspel, President Trump’s nominee to lead the Central Intelligence Agency, tried to clear the air over her role in the CIA’s controversial interrogation program — described as “torture” by critics — at the start of her Senate confirmation hearing on Tuesday. Haspel, who joined the CIA in 1985 and has spent most of her 30-plus years in the spy agency undercover, oversaw a secret prison in Thailand where terror suspects were waterboarded between 2003 and 2005. “I think it is important to recall the context of those challenging times immediately following 9/11,” Haspel said. “For me, I had just returned to Washington from an overseas posting and I reported for duty the morning of 9/11. I knew in my gut when I saw the video of the first plane hitting the Tower in Manhattan that it was Bin Laden. I got up from my desk and, like many others, walked over to the Counterterrorism Center and volunteered to help. I didn’t leave for three years. We worked seven days a week, and I even had friends who postponed weddings and having babies. The men and women of CIA were driven to prevent another attack. Gina Haspel, a veteran CIA clandestine officer picked by U.S. President Donald Trump to head the Central Intelligence Agency, is shown in this handout photograph released on March 13, 2018. CIA/Handout via Reuters ATTENTION EDITORS - THIS IMAGE WAS PROVIDED BY A THIRD PARTY. In 2009, then-President Barack Obama signed an executive order barring the CIA from using harsh interrogation methods such as waterboarding. 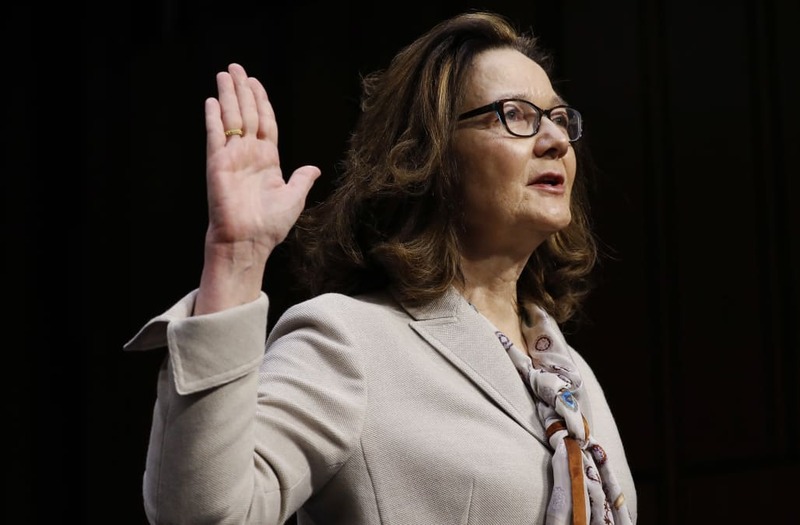 As a candidate, Trump said that he would consider reintroducing waterboarding and “a lot worse.” But Haspel told lawmakers on Wednesday she has no interest in restarting the Bush-era torture regime. “Having served in that tumultuous time, I can offer you my personal commitment, clearly and without reservation, that under my leadership CIA will not restart such a detention and interrogation program,” Haspel said. When pressed by Sen. Mark Varner, D-Va., whether she would change her position on torture if asked by Trump to do so, Haspel was unequivocal. “I would never, ever take the CIA back to an interrogation program,” she said.